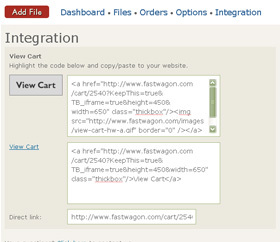 This is a live shopping cart that will show take you through the process of a FastWagon purchase. 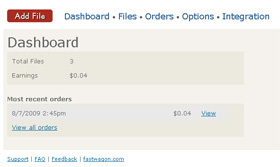 You can add the 'Add to Cart' buttons to your site and style them any way you want. 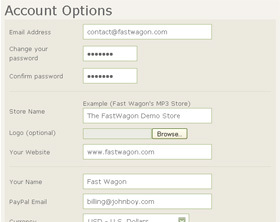 Below are the simplest add to cart buttons. Example store only. 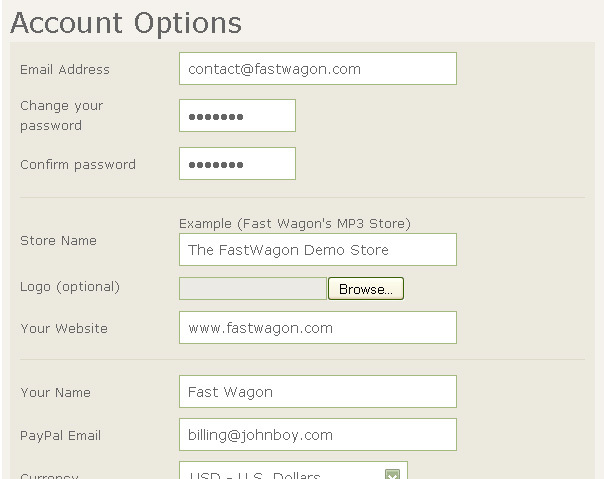 FastWagon does not build your shopping cart. 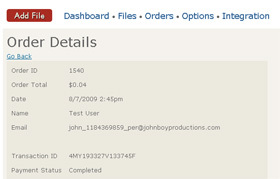 View your total earnings, view recent orders and total number of files. Adding files is easy. Just upload your file, give it a name and a price and you're done. Keep track of your orders and search your order history by date and email address. Change your account options and preferences here. Upload your company logo & change your currency. 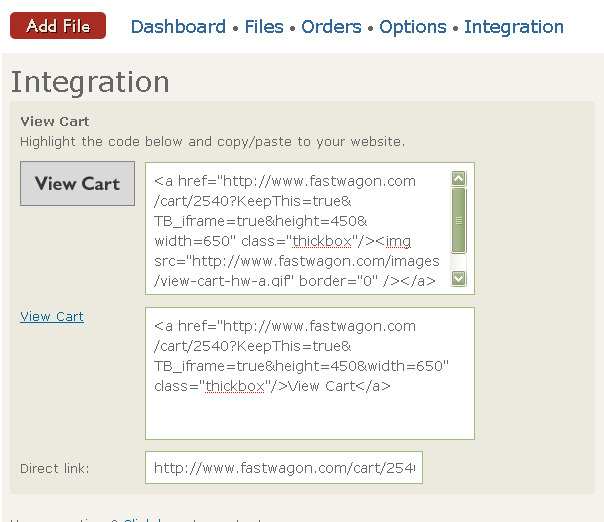 Code for integrating FastWagon into your website.